We have started our birthing season much earlier this year. 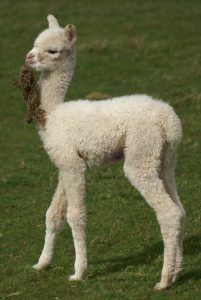 In fact this is the first year that we have had a cria born before the first of May. We have had cria due in April, but they have always held on…and on…seemingly to avoid sunny April and wait until rainy May. Beck Brow Explorer was due mid April and eventually decided to arrive after 384 days gestation in late May. However Bozedown Celestrial is like clockwork, she has birthed previously in May, June and August and has always delivered at 340 days gestation. Thus when Craig asked what was the likelihood of her birthing on her due date whilst we were away at the BAS National Show, I had to say high. However I was thinking spring birth, probably not. But true to form she birthed at exactly 340 days gestation. Beck Brow By Design (sire: Beck Brow Explorer) is a full sister to Trendsetter and Fashionista and looks to be another high quality female. Born on the 26th of March weighing 7.7kgs, she weighed in this morning at 11.4kgs (at 10 days). So great weight gain. She is such a cheeky little character, always up to mischief and full of beans. Here she is below deciding that moss doesn’t taste too good! That really wasn’t a good idea…tastes yuk! On a less happy note, we found a still-born cria this morning. This was especially disappointing for it was our first suri birth due this year. 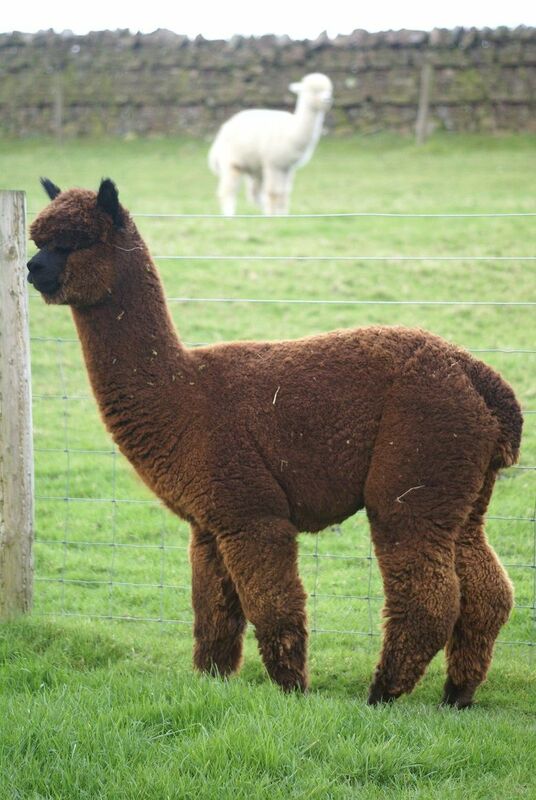 We purchased Springfarm Mystique (who is a Rapper daughter) pregnant to Aslan, and felt this was an exciting pairing. Unfortunately she delivered a still born brown female sometime during the night. 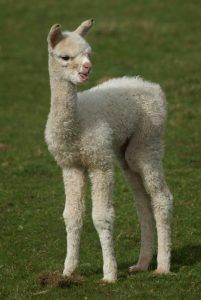 The membranes surrounding the cria were like leather, the fluid inside dark and the cria’s eyes milky, suggesting that something had gone wrong in the womb rather than she had been born alive. We have covered Mystique with antibiotics.I realise with so many births due, the odds are this will happen from time to time, but why that one! Craig and I have had a busy few days. The weanlings have all been weighed and had their AD&E (the last routine dose until late autumn here). The adults have had their mineral drench, some toenails have been trimmed and paddocks swept (Craig gets the credit for that). 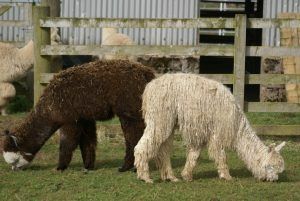 This morning we moved some alpacas into different groups. Some pregnant females from the far belter were moved into the main barn, and some female weaners moved from the main barn into the far belter. We have our due females split into two groups depending on when they are due. This allows us to feed according to the gestation period and also keep the due soon girls close to the barn and in sight. We also spat off the pregnant females. A couple that we weren’t sure about spat so overall positive results. The only disappointment is Havannah (dam of Tutu and Ra Ra) she did sit last spit-off, but she looks rather round and I had hoped she had just relented, but she sat again so we have to agree with her. We used Explorer for the first spit-offs but he is too old and wise. He realised what the score was after a few and decided he wasn’t going to bother. Samurai being a new kid in town took over, ever in hope of a mating. Taking of matings Beck Brow On The Money looks very keen to work. Prancing up and down the girls fence line. I hadn’t banked on him working this year so need to redo the mating decisions. I am thinking Bozedown Delphi might just make a good love interest. That would be the brown and light overall colour champions from Showtime making a date! Something we really must do this year is put Explorer over coloured females, he is proving himself to be such a prepotent male, producing champion after champion white. We now need to see what he does with colour. We have had a busy time with two big shows over consecutive weekends. 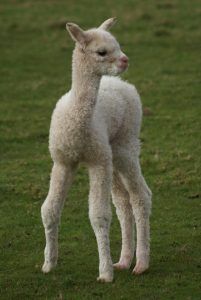 The National Show in Telford 25th/26th of March and NWAG Alpaca Championships on the 1st April. These are our two main shows of the season, and thus we take a strong show team, who I am pleased to say did us proud at both shows (full account on our NEWS page). It was great fun but rather exhausting having one after the other. I shall be going to the HoE Fiesta at the weekend as a spectator. I was so busy at both shows that I hardly got to speak to anyone. 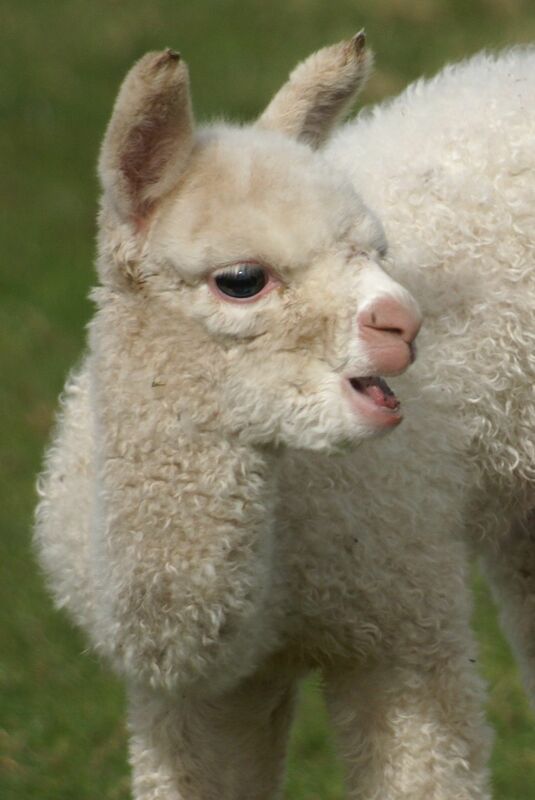 Some relaxed alpaca chat will be good. Then next week it is the Scottish Alpaca Championships. We are taking a slightly smaller team and leaving one or two of the main players at home (including the lovely Kiss Me Quick). That will then probably be the end of our showing for this year. We are not entering Northumberland Show, but will be attending to show support our friends and clients who are showing. I am judging at Westmorland Show but we had already decided that we would not be showing before I was invited to judge. We feel that breeders like to see different alpacas at different shows as it adds to the excitement. Lastly I post a photo that made me smile. It doesn’t seem very long ago that I had no interest in grey alpacas and even less interest in Suris..now I own and love both….